La Gomera is arguably the most beautiful of the Canary Islands and certainly provides the best opportunities for whale watching. The small island, home to a UNESCO World Heritage Site national park, is a paradise of craggy mountains and deep ravines. Its picturesque scenery is further complemented by the flourishing marine life in the surrounding waters. A pod of approximately 300 pilot whales have made their home in the stretch between La Gomera and it’s neighbour Tenerife, so spotting one of them as they blow a jet of water into the air is likely. In addition, beaked, finback, minke, sei and sperm whales have all been spotted passing through, hinting at the profuse sea life around the island. But these are not the only residents in the area – La Gomera is also an excellent spot for dolphin sightings. Up to six species of dolphins live and play in these waters. The friendly Atlantic bottlenose is the most frequently sighted of dolphins. Known to be quieter than the other islands, La Gomera benefits from more peaceful waters and unspoilt nature. Marina La Gomera in the capital, San Sebastian, has moorings for yachts up to 60 metres. La Gomera is arguably the most beautiful of the Canary Islands and certainly provides the best opportunities for whale watching. The small island, home to a UNESCO World Heritage Site national park, is a paradise of craggy mountains and deep ravines. Its picturesque scenery is further complemented by the flourishing marine life in the surrounding waters. A pod of approximately 300 pilot whales have made their home in the stretch between La Gomera and it’s neighbour Tenerife, so spotting one of them as they blow a jet of water into the air is likely. In addition, beaked, finback, minke, sei and sperm whales have all been spotted passing through, hinting at the profuse sea life around the island. But these are not the only residents in the area – La Gomera is also an excellent spot for dolphin sightings. Up to six species of dolphins live and play in these waters. The friendly Atlantic bottlenose is the most frequently sighted of dolphins. Known to be quieter than the other islands, La Gomera benefits from more peaceful waters and unspoilt nature. Marina La Gomera in the capital, San Sebastian, has moorings for yachts up to 60 metres. California is one of the best places in the world to see whales all year round, and there is no better spot to see these gentle giants than Monterey Bay. One of the most incredible wildlife migrations happens along this coast as over 20,000 grey whales travel between Alaska and Mexico. Because the water in the Bay is cold and rich in food the whales often stop for long periods and can regularly be seen from the coast as they breach the water. Grey whales may be the most common along the Californian coast, but a number of other cetaceans – including orcas, humpbacks, porpoises, dolphins, and gigantic blue whales – inhabit the waters at different times of the year so you are always guaranteed sightings. Superyachts up to 42 metres can moor at the nearby Breakwater Cove Marina. Alternatively, Monterey Bay is only a short cruise south from San Francisco, so it would be the perfect stop off for anyone cruising in California and heading to San Francisco Bay on a luxury yacht. California is one of the best places in the world to see whales all year round, and there is no better spot to see these gentle giants than Monterey Bay. One of the most incredible wildlife migrations happens along this coast as over 20,000 grey whales travel between Alaska and Mexico. Because the water in the Bay is cold and rich in food the whales often stop for long periods and can regularly be seen from the coast as they breach the water. Grey whales may be the most common along the Californian coast, but a number of other cetaceans – including orcas, humpbacks, porpoises, dolphins, and gigantic blue whales – inhabit the waters at different times of the year so you are always guaranteed sightings. Superyachts up to 42 metres can moor at the nearby Breakwater Cove Marina. Alternatively, Monterey Bay is only a short cruise south from San Francisco, so it would be the perfect stop off for anyone cruising in California and heading to San Francisco Bay on a luxury yacht. 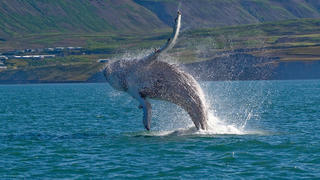 Many people are drawn to Alaska for its whale watching and the most commonly seen whales are the humpback and orcas. Although you don’t actually have to set foot on a boat to see these magnificent creatures, as you can catch glimpses of them from the shore, the best view will always be from the sea. Visitors can see Humpbacks within a few minutes of the port of Auke Bay, so it's a must-do activity for those heading to Alaska on a superyacht. It is harder to guarantee sightings of orcas, but they are known for congregating off Juneau, and the inside passage is where you are most likely to find them. Juneau itself is a nature-lover's paradise with more miles of hiking trails than road. 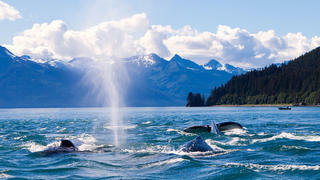 Many people are drawn to Alaska for its whale watching and the most commonly seen whales are the humpback and orcas. Although you don’t actually have to set foot on a boat to see these magnificent creatures, as you can catch glimpses of them from the shore, the best view will always be from the sea. Visitors can see Humpbacks within a few minutes of the port of Auke Bay, so it's a must-do activity for those heading to Alaska on a superyacht. It is harder to guarantee sightings of orcas, but they are known for congregating off Juneau, and the inside passage is where you are most likely to find them. Juneau itself is a nature-lover's paradise with more miles of hiking trails than road. The best time to whale watch here is from April to September however tours do run throughout the winter months when you may catch a glimpse of the Northern Lights. Expect to see minke and humpback whales as well as dolphins and porpoises. Secure a berth at the Old Harbour in Reykjavik, a popular departure point for local whale spotting tours, to combine the attractions of the city with whale watching. Trail blazers may also wish to head further north to the small fishing village of Husavik where smaller crowds mean a more personal experience. The best time to whale watch here is from April to September however tours do run throughout the winter months when you may catch a glimpse of the Northern Lights. 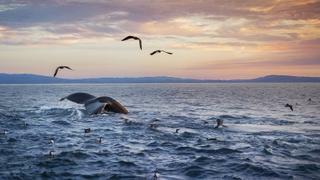 Expect to see minke and humpback whales as well as dolphins and porpoises. Secure a berth at the Old Harbour in Reykjavik, a popular departure point for local whale spotting tours, to combine the attractions of the city with whale watching. Trail blazers may also wish to head further north to the small fishing village of Husavik where smaller crowds mean a more personal experience. At its narrowest point the Strait of Gibraltar spans approximately 10 miles and it is here that whales are most prolific. Visitors can hope to see the longfin pilot whale, orca and very lucky tourists might catch a glimpse of a fin or sperm whale. There are approximately 15 families of pilot whales living in the Strait, as well as a number of different dolphin species. The best time to observe these amazing creatures is from April to October, though the best time of the year to see orca specifically is in July and August. The Gibraltar Straits is a natural crossroad that hosts an extraordinary array of marine life, so it’s definitely one to add to your list of must-do scuba dives before you die if you’re feeling a little adventurous and want to see some whales in person. Plus with a new superyacht marina planned for Gibraltar, this is becoming a great yachting destination. At its narrowest point the Strait of Gibraltar spans approximately 10 miles and it is here that whales are most prolific. Visitors can hope to see the longfin pilot whale, orca and very lucky tourists might catch a glimpse of a fin or sperm whale. 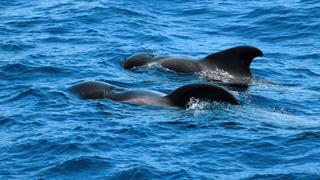 There are approximately 15 families of pilot whales living in the Strait, as well as a number of different dolphin species. The best time to observe these amazing creatures is from April to October, though the best time of the year to see orca specifically is in July and August. The Gibraltar Straits is a natural crossroad that hosts an extraordinary array of marine life, so it’s definitely one to add to your list of must-do scuba dives before you die if you’re feeling a little adventurous and want to see some whales in person. Plus with a new superyacht marina planned for Gibraltar, this is becoming a great yachting destination. 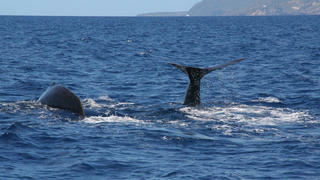 If you’re planning on discovering Grenada on a luxury yacht, make sure you save some time for a little whale watching. Humpback whales are regularly spotted from January to March, and from November to March visitors might get to see Cuvier’s beaked whale and orcas as well as dwarf sperm whales. 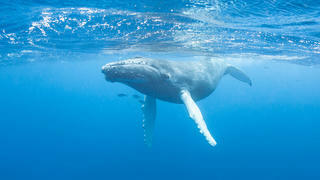 Other species such as the sperm whale, short and long-finned whales can been seen throughout the year — in fact 15 species of whales can be spotted swimming in Grenadian waters between December and April, so if you’re planning a trip on a private superyacht or a luxury yacht charter in the Caribbean, Grenada should be on your whale watching tick list. 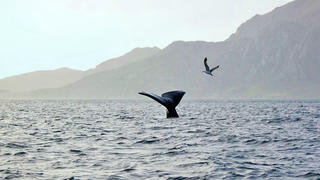 If you’re planning on discovering Grenada on a luxury yacht, make sure you save some time for a little whale watching. Humpback whales are regularly spotted from January to March, and from November to March visitors might get to see Cuvier’s beaked whale and orcas as well as dwarf sperm whales. Other species such as the sperm whale, short and long-finned whales can been seen throughout the year — in fact 15 species of whales can be spotted swimming in Grenadian waters between December and April, so if you’re planning a trip on a private superyacht or a luxury yacht charter in the Caribbean, Grenada should be on your whale watching tick list. Explore the stunning coastlines of this hidden gem of the Caribbean — the Dominican Republic has become a popular whale watching destination, especially to see humpback whales. The Sanctuary for the Marine Mammals of the Dominican Republic offers unbeatable opportunities to see humpbacks, although other species such as the pilot whale have been spotted in these waters. Silver Bank, a submerged bank to the north of the Dominican Republic, has been a breeding and calving area for humpbacks for many years, and was declared a whale sanctuary in 1986. Most visitors keen to see whales will head to Samaná Bay during the main season, which usual runs from mid-January to mid-March, making this a must for anyone on a Dominican Republic yacht charter or private visit. Explore the stunning coastlines of this hidden gem of the Caribbean — the Dominican Republic has become a popular whale watching destination, especially to see humpback whales. The Sanctuary for the Marine Mammals of the Dominican Republic offers unbeatable opportunities to see humpbacks, although other species such as the pilot whale have been spotted in these waters. Silver Bank, a submerged bank to the north of the Dominican Republic, has been a breeding and calving area for humpbacks for many years, and was declared a whale sanctuary in 1986. Most visitors keen to see whales will head to Samaná Bay during the main season, which usual runs from mid-January to mid-March, making this a must for anyone on a Dominican Republic yacht charter or private visit.